CP Manufacturing, San Diego, CA is proud to announce they are moving their offices and manufacturing plant to a new location and will begin operating at the new facility on October 15th. The new plant is more than double the size of the existing facility, going from 50,000 square feet to 120,000 square feet on 12 acres of land. “This move is necessitated by an increased demand for our equipment. We are very excited to make this next step in the evolution of our company as we continue to grow,” says Bob Davis, CEO and owner of the CP Group. 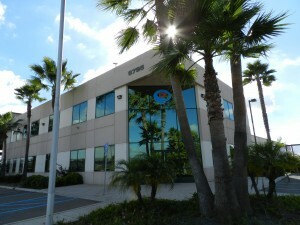 The new facility, located at 6795 Calle de Linea, San Diego, CA 92154, is also the CP Group’s World Headquarters. The CP Group consists of 5 industry-proven companies: CP Manufacturing, Krause Manufacturing, MSS, IPS Balers and Advanced MRF, which each also have their own facilities. The CP Group was formed as a result of CP Manufacturing acquiring the other 4 companies over the past decade to expand their product line and services. CP Manufacturing, which was incorporated in 1977, continues to grow and evolve to proactively answer market demands in the recycling industry. CP Manufacturing introduced the world’s first aluminum can flattener and densifier, and grew to become one of the first companies to manufacture dual stream and single stream recycling facilities. Today, the CP Group is a world leader in engineering, manufacturing and installing Material Recovery Facilities for Single Stream Recycling, Construction and Demolition Recycling, Municipal Solid Waste recycling, Commercial and Industrial recycling, Front-End Waste to Energy systems, eWaste recycling and more. For more information about CP Manufacturing, please visit www.cpmfg.com, and connect with the CP Group on Facebook at www.facebook.com/theCPgroup and twitter www.twitter.com/theCPgrp.